I love this billboard poster - it appears above my current favourite breakfast spot in Cape Town, Beleza. 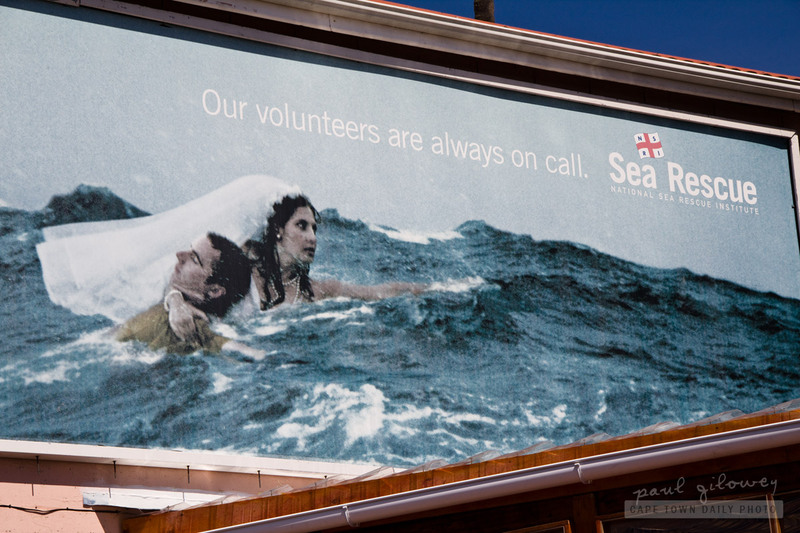 It gets the NSRI's message across pretty simply, don't you think? The institute is entirely supported by members, donors and sponsors, and is run by (about 980) volunteers - unpaid volunteers. Consider supporting the NSRI by becoming a member - it costs only R100 per year! Posted in General and tagged sign on Monday, 17 October, 2011 by Paul.